PORTSMOUTH, Va. (NNS) — The Navy and Marine Corps Public Health Center’s (NMCPHC) Health Promotion and Wellness (HPW) campaign announced the launch of its Psychological and Emotional Well-Being program May 7. 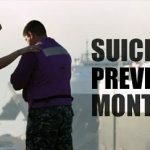 The sub-campaign is part of a fleet wide effort to encourage Sailors, Marines, their families and health educators to access resources that help strengthen and maintain psychological resilience and readiness in order to help manage the unique stressors of military life. The timing of the announcement is aligned with Military Health Service Mental Health Awareness Month and National Mental Health Month. To access and download Psychological and Emotional Well-Being materials visit: http://www.med.navy.mil/sites/nmcphc/health-promotion/psychological-emotional-wellbeing/Pages/psychological-emotional-wellbeing.aspx. The Psychological and Emotional Well-Being sub-campaign is part of the NMCPHC’s HPW Campaign, which provides innovative and evidence-based health promotion and wellness programs and services that facilitate readiness and resilience, prevent illness and injury, hasten recovery and promote lifelong healthy behaviors and lifestyles. 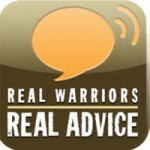 HPW aligns with the 21st Century Sailor and Marine Initiative, a set of objectives and policies across a spectrum of wellness, that maximizes each Sailor’s and Marine’s personal readiness to hone the most effective combat force in the history of the Department of the Navy (DoN); as well as “Operation Live Well,” a Defense Department campaign targeting service members, veterans and military operational leaders encouraging them to live healthy and active lifestyles. NMCPHC is part of the Navy Medicine team, a global health care network of 63,000 Navy medical personnel around the world who provide high-quality health care to more than one million eligible beneficiaries. Navy Medicine personnel deploy with Sailors and Marines worldwide, providing critical mission support aboard ship, in the air, under the sea and on the battlefield. Follow the Navy and Marine Corps Public Health Center on Facebook for the latest news and updates on health promotion and wellness.